Kairali TV Onam 2016 Special Premier Malayalam Films are Ennu Ninte Moideen, Pathemari, Vethalam, Puli, Rajani Murugan, Sethupathi etc. We have already published here that Asianet and Kairali TV jointly purchased the satellite rights of Ennu Ninte Moideen. This is one of the biggest hits in recent times, starring Prithviraj and parvathi. Both channels will air the premier show of Ennu Ninte Moideen movie during Onam 2016. We have recently watched the Same time premier of Oru Vadakkan Selfie, Premam etc on both Kairali TV and Asianet. Ennu Ninte Moideen premier telecast can be watch on these channels during the Onam 2016. Keralatv.in have discussed about the expected premier films of Asianet, Surya TV and Mazhavil Manorama. Now we can check what are the premier films of Kairali TV for 2016 Onam season. Pathemari is another movie premier on Kairali TV during 2016 Onam Season. This movie actually purchased by Asianet and giving Kairali TV for Onam. Along with these two malayalam films we can watch some latest tamil films dubbed in malayalam. 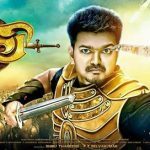 Vethalam, Puli, Rajani Murugan, Sethupathi are the latest tamil dubbed film rights purchased by Kairali TV. These 4 films are almost confirmed and we can expect during Onam 2016. Complete onam schedule of Kairali TV and Other Malayalam Channels will be publish here soon. Flowers TV Onam 2016 and Amrita TV Onam Films List are not Available This Moment. We will try to update these channels onam 2016 malayalam film here. There may be changes happen in kairali tv onam 2016 films list. We can expect more films on kairali tv during onam 2016 season. The channel have planning different special shows to treat the malayalee viewers during the onam holidays. Stay tuned here for more updates about all the malayalam television channels.